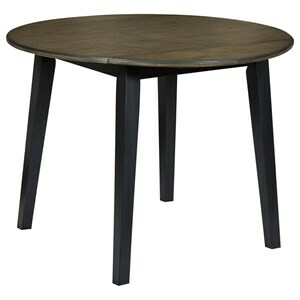 Enrich your casual breakfast area with this round drop leaf table. Constructed of solid Rubberwood with a java finished top. 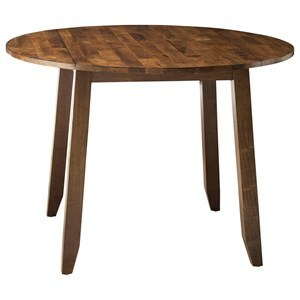 Clean, tapered legs and smooth edges offer simplified charm. 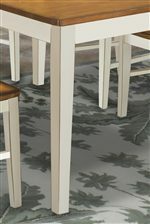 Two drop leaves allow you to modify the table to best suit your needs. 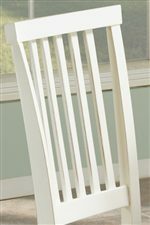 Pair with lattice back or slat back side chairs to complete the look. 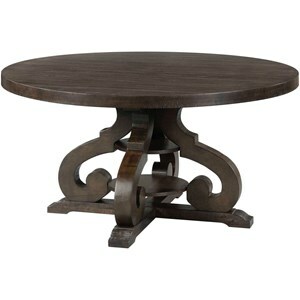 The Arlington Round Drop Leaf Table by VFM Signature at Virginia Furniture Market in the Rocky Mount, Roanoke, Lynchburg, Christiansburg, Blacksburg, Virginia area. Product availability may vary. Contact us for the most current availability on this product. 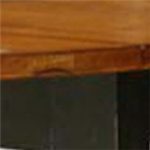 Leaves Table extends from 30" rectangle to 42" circle with two 6" drop leaves. Case Construction Constructed from solid Rubberwood. Finish Available in a two-toned finish. Case Detail Lattice chair backs, slat chair backs. Tapered legs. 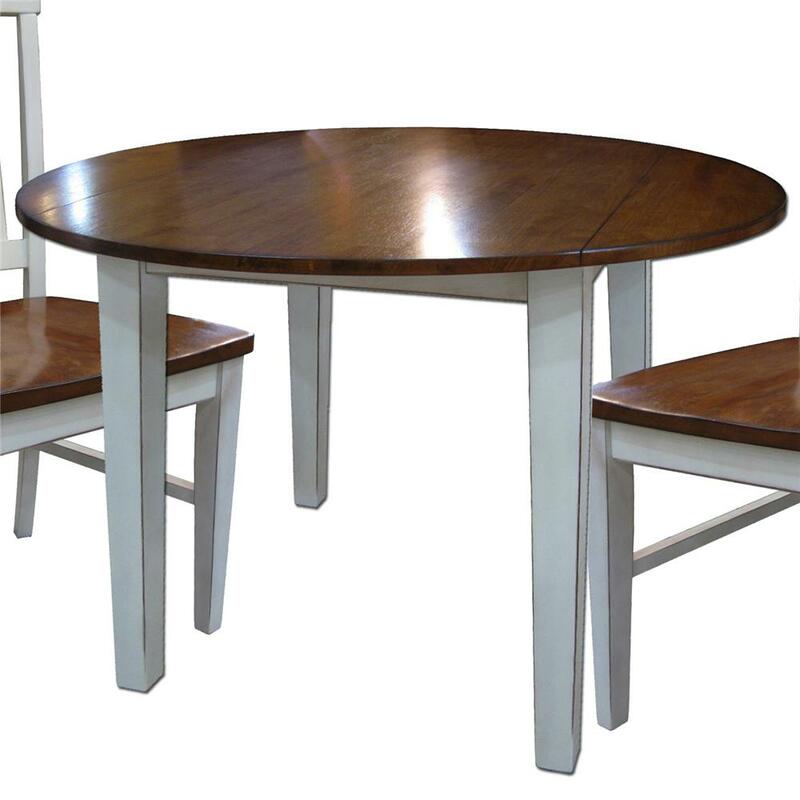 Warranty The manufacturer warrants the construction of this furniture product to be free from defects in workmanship for 1 year on all products under normal household use and service, following the date of purchase and delivery to the original customer. 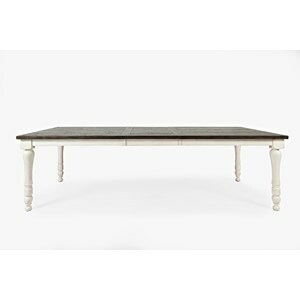 Adorn your dining room, kitchen or casual dining area with the Arlington collection. 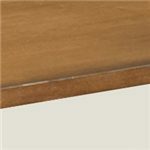 Constructed from solid Rubberwood available in a two-toned finish, this collection is sure to enhance any home decor. It features a four leg dining table, four leg gathering table and kitchen island table. 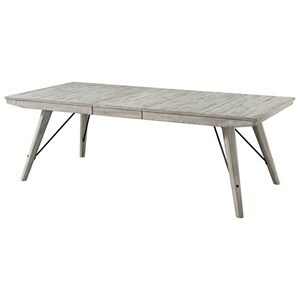 Complete the tables with either the lattice back or slat back bar stools, dining side chairs or benches. The seating offers a stylish and unique look for this collection. Decorate your home with the sleek and casual design of the Arlington collection. 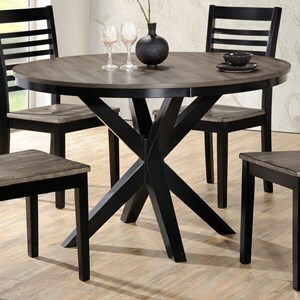 The Arlington collection is a great option if you are looking for Mission furniture in the Rocky Mount, Roanoke, Lynchburg, Christiansburg, Blacksburg, Virginia area. 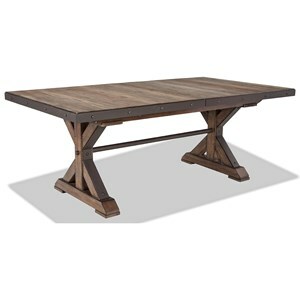 Browse other items in the Arlington collection from Virginia Furniture Market in the Rocky Mount, Roanoke, Lynchburg, Christiansburg, Blacksburg, Virginia area.